While he may be best known for his work in arthouse classics like L'Eclisse, Plein Soleil, and Le Samouraï, Alain Delon also flirted with mainstream Hollywood stardom in the 60's and 70's. Although the effort was ultimately unsuccessful, there are a handful of English-language films that showcase Alain's talents and, lucky for us, they are all readily available! 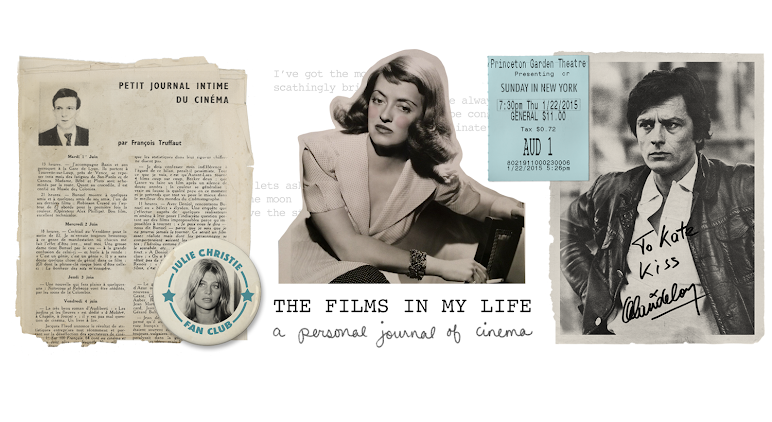 For anyone who wants to get into his work but isn't quite ready for subtitles, or if you're just interested in discovering some of his lesser-known movies, I'm sharing the full roster here in this post, along with links to the films. They may not be on the same level as Rocco and His Brothers but they're all solid, enjoyable movies and -- considering how few there are -- they really showcase Alain Delon's considerable range as an actor. Alain Delon's first foray into English language films was the UK production The Yellow Rolls Royce. 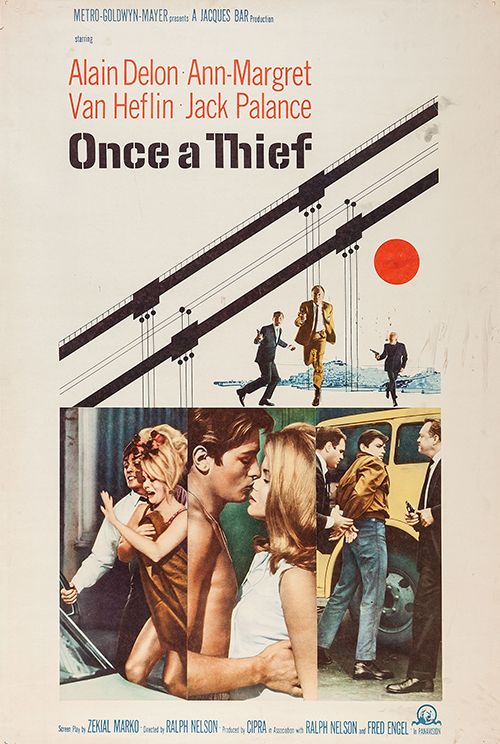 An anthology film with three distinct plots, Alain Delon features in the middle third of the movie alongside Shirley MacLaine. In what would become a recurring theme among his English movies, the French Alain Delon plays an Italian. Gangster's moll Shirley MacLaine is stuck in Italy while her mobster boyfriend, George C. Scott, is tending to business in the US. Alain plays an Italian photographer who sweet-talks lady tourists into having their photo taken in front of popular landmarks. When he tries his act on Shirley MacLaine, she is having none of it at first, but I mean, come on. It's Alain Delon. Was there ever any doubt she'd end up falling for him? Who wouldn't! This ends up being a surprisingly bittersweet story and -- even if my favorite actor wasn't in it -- it's my favorite of the three segments in the movie. It comically takes place in the 1920's, with the filmmakers haphazardly deciding to stay true to the era's style one moment (ie. Alain Delon's one piece swimsuit) and then casting aside all period detail the next (ie. Shirley MacLaine's hair.) But Alain Delon and Shirley MacLaine make such a perfect cinematic pair that it's hardly noticeable. I wish they had made more films together -- or even a full-length one, at that! This is a heavy, harsh movie shot on location in San Francisco. Although it was released in 1965, it reminds me so much of 1940's and 50's crime dramas filmed on location in New York, like The Naked City (1948.) It has a kind of raw energy to it, and for Alain's first "polished" Hollywood movie, the only things that glisten about it are the sweaty foreheads and wet sidewalks. 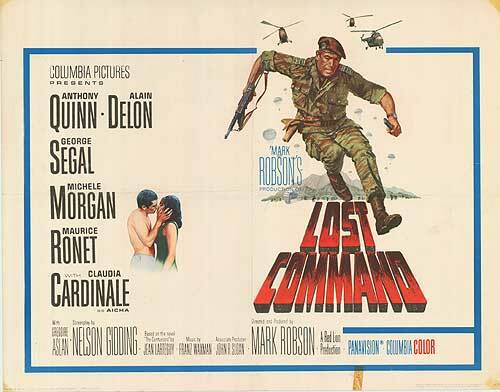 After Once a Thief, Alain Delon's next movie was Lost Command, an Anthony Quinn war movie about the conflict in Algeria. Considering the fact that I'm not a big fan of war movies and Alain Delon isn't technically the star here, it's my least favorite of his American output. But, putting those two personal preferences aside, it is a very well made movie and I'd definitely recommend it if you enjoy war movies. And if you're like me and prefer your films with as few army maneuvers as possible, there are plenty of scenes featuring the soldiers at home or socializing in Algeria. And Alain Delon strikes up a brief romance with Claudia Cardinale, reuniting three years after they costarred in Visconti's epic The Leopard. In a strange twist, Alain Delon is finally playing a Frenchman here but his Italian costar suffers the "Europeans can pass for any nationality in American films" fate, and is cast as an Arab. Very unscholarly side note: Despite my lack of enthusiasm for this movie or for war films in general, I have returned to it numerous times because Alain Delon looks pretty darn good. Exhibit A.
I am so excited to tell you about this next one. 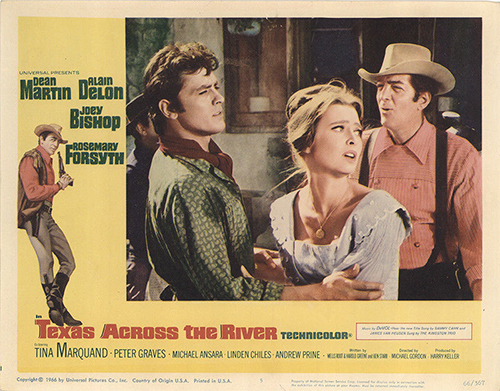 When I first started devouring Alain Delon's filmography and stumbled upon a 1966 western spoof co-starring Dean Martin and Joey Bishop I had to do a double take. What. On. Earth. Is. This. It's a delight is what it is! An unexpected delight. Alain Delon plays a (Spanish this time!) nobleman who's betrothed to a wealthy Louisiana woman, but ends up on the lam heading for the Texas border when he thinks he killed her former lover in a duel on their wedding day. Along his journey he runs into Dean Martin and Joey Bishop, and a random bull fight, snake bites, wife-swapping, a very funny duel, and lots of hi-jinx ensue. The most surprising thing to come out of this movie is Alain Delon's comedic talent. While there is evidence of it in some of his very early roles, like Three Murderesses and Che gioia vivere, it's largely absent from the entirety of his acting career. But he's downright funny in this movie. His character is clearly meant to be a suave charmer, but he's also a total doofus. And he doesn't play it up so much that it becomes irritating -- he hits the sweet spot of "over the top" without actually bubbling over. 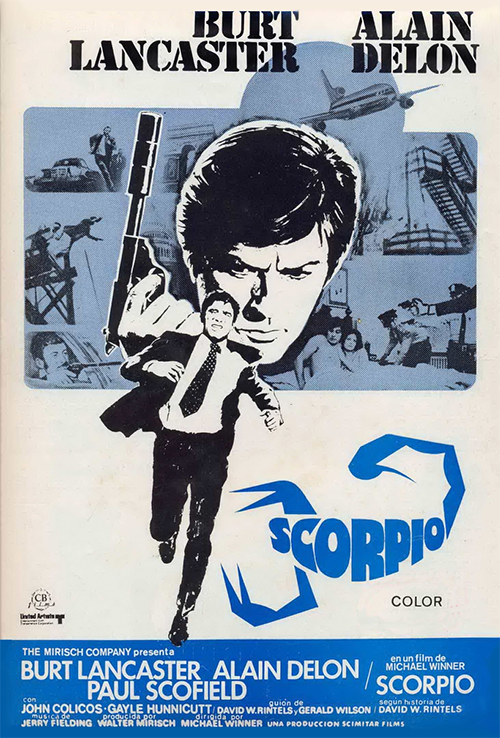 After Texas Across the River, Alain Delon went back to Paris and didn't make another American film again for seven years, returning to US screens with the 1973 spy thriller Scorpio. Scorpio reunited him with another one of his The Leopard co-stars, Burt Lancaster. 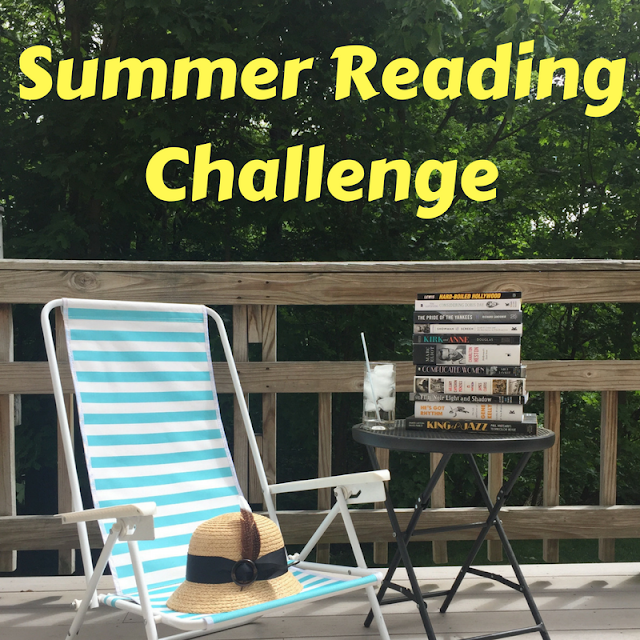 This time around they are playing an assassin and a government agent, caught up in a web of cold war intrigue. 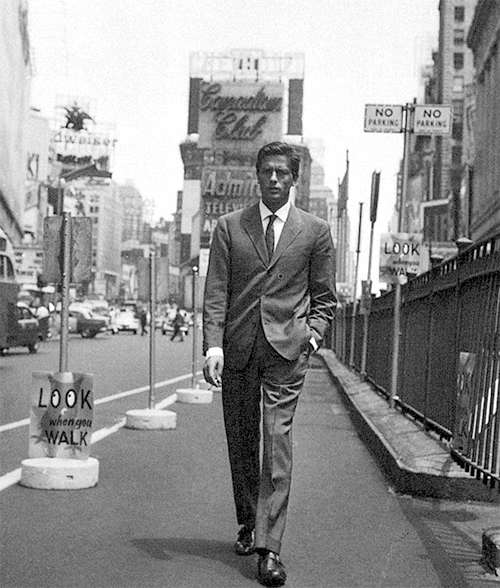 As much as I enjoy Alain's earlier American movies, I feel like Hollywood just wasn't really sure what to do with him. That indecisiveness helped showcase Delon's range (comedy! western! melodrama! war! romance!) but in Scorpio he's allowed to hone the tough-guy image he had, by this point, already established in France. This would be his penultimate American movie and I think it's a darn shame because with Scorpio they finally found the type of movie and the type of role that suited him perfectly. 1970's American cinema was chock-full of spy/crime thrillers that could have benefited from his intense, cool screen presence. The real selling point of Scorpio, though, is the fact that Alain Delon's character is an assassin with a soft spot for cats. I shared gifs of some of my favorite Scorpio scenes of Delon + cats right here. Alain Delon's final American movie was The Concorde: Airport '79. This is one of the few Alain Delon movies that I have yet to watch (mainly because I'm not sure if you need to have seen the other Airplane movies in order to get it, and I haven't seen any of them -- any advice on that subject would be greatly appreciated!) This was the final entry in the Airport movie series, and sadly also marked the end of Alain Delon's short career in Hollywood. 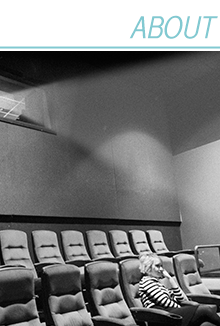 In addition to his six English language movies, Alain Delon also did his own dubbing for many of his French films. Technically you can almost count Joy House as his first English movie, since he dubbed it himself and co-starred with American actress Jane Fonda! You can also hear him in the English dub of Farewell Friend. 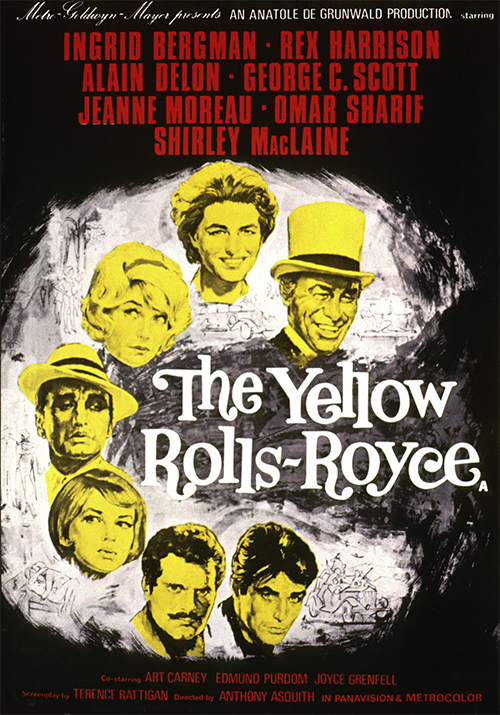 'The Yellow Rolls-Royce' A very enjoyable vintage film which the likes are not made anymore. Usually these all star cast epics are not too good, but this on and THE V I P's are well worth seeing. these are very vintage and classical films which have been very helful in us growing up. 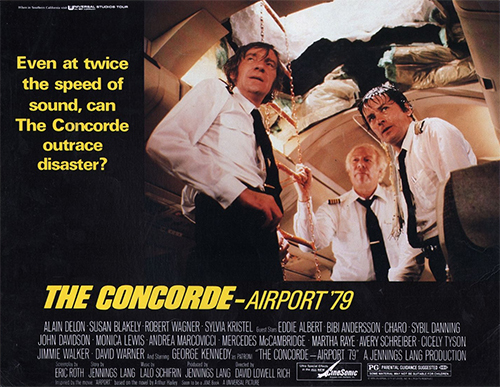 It's been a while since I watched it, but I don't recall having any trouble following The Concorde: Airport '79 in spite of not having seen any of the earlier movies in the series. It appears that George Kennedy's character was in all four, but apart from that, I'm not sure how much was really carried over from one film to the next.